Hooray! A new financial year. A tough but interesting year with buyers being far fussier about quality of goods and not just looking for the cheapest prices. There is still a lot of Avaya INDeX kit in the market place, the majority of it being sold by people who have no knowledge of it and very little that is tested of even cleaned. 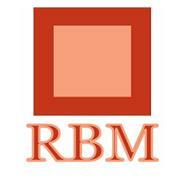 RBM Voice & Data Consultancy however, have always tested and cleaned everything before it is shipped. And despite offering a 90 day full warranty on everything, have only had to replace a handful of items over the 10 years we have been trading. Many Avaya INDeX users have a VOICE MAIL system. These are normally the wonderful SVRC internal card system that originally cost a fortune. Over the years, hard rives have started to wear out and they have had to replace these cards. Most are probably not much better than the one that they have, so buying a replacement is a nightmare and a lottery. We have had ALL of our stock (which includes 1.2; 1, 2.2; 1.3.1; 1, 4 1and 3-X 1.5) fully tested, cleaned, defaulted and issued with new passwords and IP addresses. All ready to ship. We also have good stocks of PROCESSORS with a wide range of licenses that range from CPU100’s to CPU-X1000’s This range changes frequently so we suggest that you call us with your requirements on 08000 093 053 and we can give you an accurate answer and price. These will all have been tested and have new passwords. And finally, although we probably hold the largest and most comprehensive stock of 2nd user Avaya INDeX kit in the UK, we also continue to grow our base of Maintenance Contracts throughout mainland UK.